Getting a new business up and running can be tough for an entrepreneur in 2019. In the old days, the best ways to reach your target customer was with a printed flyer, posters, ads in the paper and a tv commercial or two. The modern market has shifted into the realms of digital and the difference is astounding. Small businesses now have the potential to reach thousands of people across the globe in just a few clicks. The potential is huge. So huge, that you might feel like you don’t quite know where to start. Which is the best platform for your business and are there any cost-effective ways to help get you started? 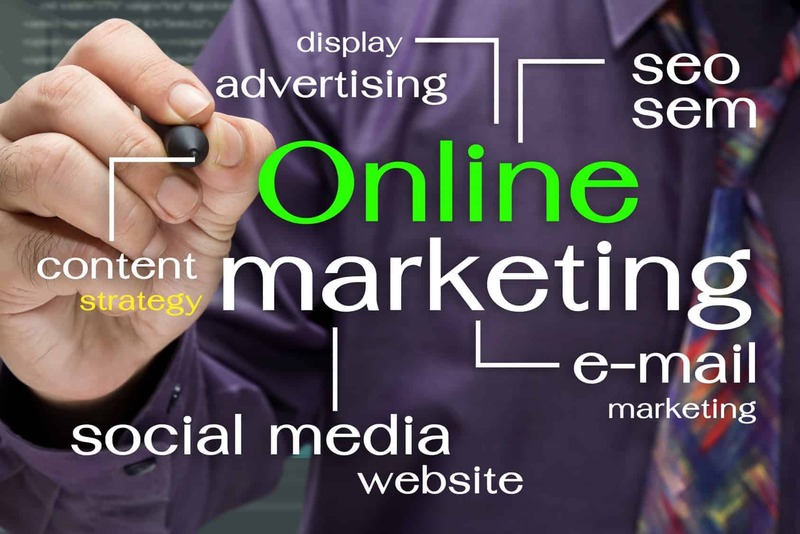 Read on and discover the importance of online marketing and how you can use it to rapidly grow your business in 2019. To understand the importance of online marketing, you first have to look at the way people live in the modern age. Here in the US, mobile phones are checked 8 billion times every day in total. We are officially addicted to our smartphones. We’re so reliant on the internet making our lives easy that it’s estimated we stay connected to WiFi 24 hours a day, every day. We use it to stay fit, to connect with our friends and colleagues, to order our meals, control our homes and to organize our lives. Living online just makes life so much easier. The power of digital living also gives us instant gratification on the things we want. This year, more than half of shoppers will use a smartphone to complete a purchase. Hone that down and you’re looking at 95.1 million Americans that are set to make a purchase via a smartphone. In order to have truly effective marketing, you need to be where your customers are, and it looks like they’re online. Gone are the days where you had to approach a bank for a loan to buy a property before you could set up shop. Nowadays online platforms like eBay, Etsy and Shopify help you get up a mini shop in just a few clicks of a mouse. You don’t need to spend out on a fancy interior or hire a team of employees, either. As long as you have a little coding know-how under your belt (or know someone that does), you can make a professional shop without needing a huge budget. Now that your business is set up, the importance of online marketing will become even clearer–you’ll need to get the word out and drive traffic to your site if you’re going to succeed. Part of the importance of online marketing is the potential it has for incredible return on investment. A few simple strategies like the ones below are affordable for smaller businesses and, when done well, can bring in hundreds of customers while getting your figures into the black. Big launches and events are great ways to get publicity for your business, but in those early days, they might not be as achievable as you’d like. Part of the importance of online marketing is that it affords you a faster way to publicise your new products, events, and promotions without breaking the bank or straining resources. So you see, being online in some form is absolutely essential if you’re going to stand a chance in today’s marketplace. So which platforms are available to you and how can you start using them to expand your business? Now that you know the importance of online marketing, it’s time to look at some different ways you can start using it. Chances are, you’re already using a number of these in your daily personal life! Social media is a powerful tool for connecting your business directly with your customers. You’ll be able to use platforms like Facebook and Twitter to collect customer feedback and chat directly with them about any issues they’re having. 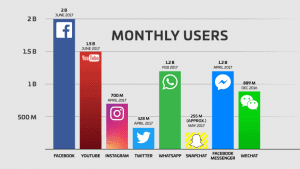 Facebook has hit 2 billion monthly users, June 2017. Depending on how appropriate they are for your business type, you can also bring platforms like Snapchat, Pinterest, and Instagram into play, using images so show your products and how your customers interact with them. It can be relatively straightforward and easy to set up your own email strategy. The key here is to ensure you’re reaching out at the right times of day and with the right content for each customer segment. Emails are great because they don’t cost a lot to create and they can be tested over a period of time so you can keep innovating and perfecting your technique to make sure you’re always hitting that sweet spot. Play your cards right and the return on investment for email marketing could be well worth your while. In fact, the Direct Marketing Association Statistical Fact Book states that the ROI is as high as 4300% on email making it one of the most effective digital marketing tactics. When you examine the importance of online marketing for your business, never underestimate the power of PPC and display advertising. Like little newspaper ads that follow you around the internet, these are great tools for customer conversions and acquisition. Use PPC (pay per click) ads to target customers searching keywords that match your product or offering. Bidding on these keywords can be pricey, so get in touch with a paid media specialist that can help you allocate your budget effectively so you get more for your money. You can use banner ads to target customers that have bounced or not converted after visiting your site. ‘Sticky’ ads like these will follow customers around the internet and show them the products or services they were looking at. Bring them back in and get that order by using your digital banner ads to give them an exclusive offer to help close the deal. You can also try display advertising on Facebook. Nifty carousel ads can be used to display your products and services to the Facebook users that match your customer demographic, so you know that the right people are seeing what you have to offer. 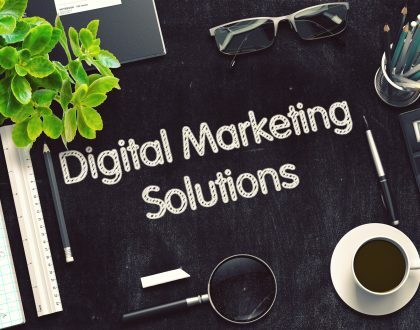 If you’re just starting out in the world of business and aren’t really sure about the importance of online marketing and how to get a digital marketing campaign off the ground, there are some affordable and easy things you can try. Bring those social channels into play and create a campaign that helps get your customers engaged. Something simple and interactive, like a competition, is a great way to get the ball rolling. Make sure that you get all your participants using a hashtag that you’ve created just for the campaign. That way you’ll be able to track its progress and locate participants easily. Keep the conversation and buzz going by reposting and replying to participants. When used effectively, an email campaign can give your next launch or promotion the support it needs to succeed. Create a strategy of emails that preview your campaign, launch your campaign and give a final chance to shop. This timeline of preview, live and ending emails are a great way to make sure your customers are aware of each stage of the promotion as it hits, so they don’t miss out. It also helps you to keep your promotion front-of-mind and top of the email inbox! Schedule your emails to send at optimum times of the day to help build your sales–if weekends look a little slow on your site, a weekend-long promotion might be a good place to start. You’ll want to create a really catchy subject line to make sure you get maximum open rates and ensure that any promo codes or links your customers need are included. Another affordable tip is to implement triggered emails into your website. If a customer adds items to their basket then fails to buy, you can hit them with a dropped basket email to help them convert. If they sign up to your site but don’t buy anything within a few days or weeks, why not set up an email that gets in touch and asks if everything is okay? Not only will you benefit from finding out what the sticking points are with your business, you can also help convert a customer. 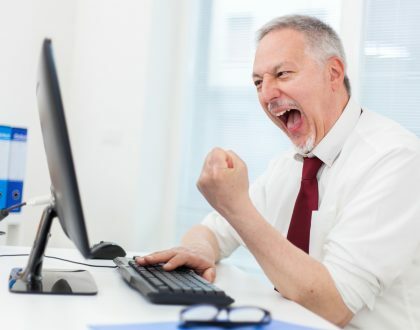 You can also use triggered emails for customers that have dropped away and no longer shop with you. Just decide how long they have to have been away before they’re considered ‘lapsed’, then set up an email that updates them on all the latest things on your site and see if you can reactivate them! Discovering the importance of online marketing doesn’t mean limiting yourself to your own website, emails and social channels. By forming partnerships with other businesses or influencers within your industry, you’ll be opening up a whole other market for yourself, as well as nabbing some extra exposure for your business. Try your hand at influencer marketing by reaching out to bloggers, vloggers or big names in complementary industries to see if you can work out a partnership that benefits you both. You’ll be able to feature in their emails, blog posts and social channels and vice versa. It gives you a lot of fresh digital content and helps them out too. By now you should be well and truly sold on the importance of digital marketing. 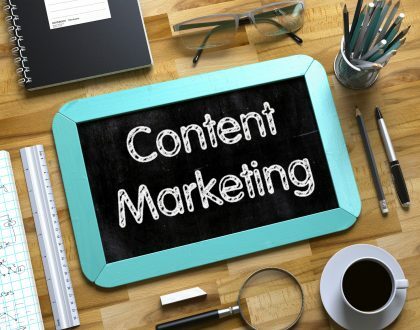 This marketing tactic can be relatively low cost for an entrepreneur or small business and can yield incredible results when you choose the right platform, right time and right content for the job. So what are you waiting for? Go ahead and start planning your route to more customers, more money and more notoriety.